Major League Eating - I kid you not. The Wii has often been criticised for a lack of really good exclusive titles, but it may now be getting the greatest exclusive ever. Major League Eating: The Game, developed by Sensory Sweep and published by Mastiff, is a game that recreates all the thrills of the greatest athletic competition of all time: Competitive Eating. 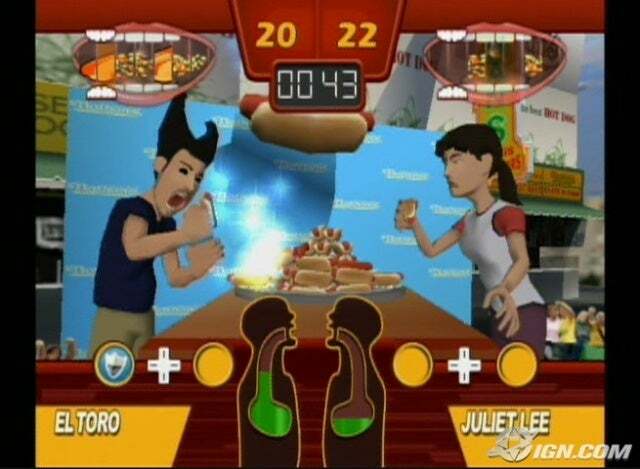 Playing as Kobayashi, Joey Chestnut, or any of the other legendary competitors available in the game, players will use the Wii-mote to simulate the action of lifting food into their mouth, while on-screen indicators give some indication of when to slow down and when to speed up your food intake (see, because you have to slow down occassionally to prevent regurgitation). 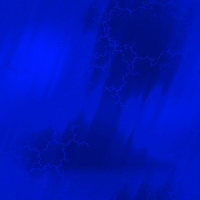 MLE: The Game is currently scheduled for a TBA 2008 release. Due to MLE’s lack of mainstream popularity it may only see a limited release in the USA, but hey, now that Australia has been named the world’s most obese nation it might end up being a popular game down under. Yeah, I was too lazy to write up a summary of it. I just wanted to share it. I can't believe they're actually making this. Wii has seen some questionable shovelware, but this takes "questionable" to new heights. An eating game? You kidding me? IGN has a new article about this craptastic game, though I didn't care enough to bother paraphrasing it. They also have some screenshots, too. Subject: Re: Major League Eating - I kid you not.